401(k) administrators, we salute you. Because if you’re responsible for 401(k) administration, you’ve seriously got your work cut out for you. From tracking eligibility to managing loans to dealing with distributions, there are a lot of tasks and processes you’ve got to be an expert in. So many, in fact, that few administrators or business owners know all the administrative things that have to happen to keep their plans compliant with the ERISA. So to educate you on the work that goes into proper 401(k) administration, we created this guide. In this post, we’ll quickly summarize what you need to know to manage your 401(k) as efficiently and painlessly as possible - the work, why it matters, and tips to keep your plan running smoothly. 401(k) administration is the process of maintaining a retirement plan and keeping it compliant with the Employee Retirement Income Security Act of 1974 (ERISA). Basically, all the day-to-day tasks that keep the 401(k) running. To help keep things as simple as possible (not an easy task, we might add), we’ll break the work into two types - Ongoing Administration, and Annual Compliance. Every time a new employee joins the company, you need to determine when they will become eligible for 401(k) participation and then send notification of their impending eligibility (and the details on it) before enrollment takes effect. Messing up enrollment or eligibility notifications can have serious consequences, the most common of which is not enrolling an employee on time and having to make a corrective contribution equal to 50% of their missed deferral opportunity. Deposits are the lifeblood of your 401(k) plan. Every time you run payroll, employee deferrals (and your company match if you have one) need to be deposited into the plan as soon as administratively feasible. If an auditor determines that your deposit was late, you’ll need to compensate employees for lost earnings, file Form 5330, and pay an excise tax tax to the IRS. 1. Invalid Deferral: if too much is deferred from the employee’s paycheck, you’ll need to run a payroll reversal, refund the money to the employee, and document the correction. 2. Missed Deferral Opportunity: if too little is deferred, you may need to make a corrective contribution to compensate the employee for what they would’ve deferred (and the company match) had the rate been correct. This can get really expensive. Every time a plan participant requests a 401(k) loan, as the administrator you have to review, approve, and document the loan request, then set up the loan repayments as additional withholdings in payroll. 1. Loan Overpayment: if you don’t stop a participant’s repayment withholdings after they’ve paid off the loan, you’ll need to run a payroll reversal, refund their money, and document the correction. 2. Missed Loan Repayment: if you fail to set up loan repayments on time or correctly and it causes a missed payment, your company may have to make the repayment on the participant’s behalf. 3. Loan Default: this is a big one. If the participant’s loan defaults due to an administrative error on your part, your company may have to repay the entire remaining balance on the loan. As a plan administrator, one of the most important ongoing tasks you’ll deal with is overseeing the timely distribution of required notices, which exist for... well... just about everything related to a 401(k). Besides being an administrative burden, failing to send these required notices on time has a wide variety of consequences, from $100+/day penalties to full plan disqualification. 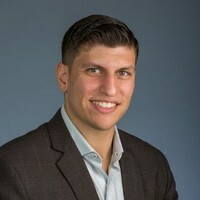 Your approval is needed whenever employees withdraw money from their plan, either as a regular distribution, hardship withdrawal, rollover (to transfer funds between plans), or qualified domestic relations order, aka QDRO (which splits employee benefits between beneficiaries for specific financial purposes, like divorce settlements or child support). Having mismatched data between your payroll and 401(k) provider can lead to delays in approving these transactions, which is a great way to encourage employee complaints to the Department of Labor. Employees come and go, and when they leave, it’s one of the plan administrator’s duties to facilitate the transfer of assets to a new plan or a lump sum cash distribution. The employee may also be able to keep their assets in the plan. Improperly processing terminated employees may lead to delays in processing distribution requests, which, as you know, is likely to result in complaints to the DoL. These are all the tasks that have to be performed after each plan year to ensure everything is in compliance with IRS and DoL regulations. If you made any mistakes during your Ongoing Administration, they should show up during these end-of-year processes (and will have to be corrected) - starting with the Year-End Census. The Year-End Census is a report of all the plan and participant data you’ll use to conduct your required nondiscrimination tests. Because you need the Year-End Census for non-discrimination testing, getting this done late could lead tos late NDTs, which could mean - you guessed it - more penalties! Nondiscrimination testing is mandatory annual testing to ensure that 401(k) retirement plans benefit all your employees, (not just the business owners or highly-paid employees). If you fail your NDTs, you’ll have to make corrective distributions, or contributions called QNECs or QMACs. Failed tests can be expensive, but more than anything else, they’re a huge hassle for everyone involved. The Large Plan Audit is the giant annual compliance review process required for all “large” 401(k) plans*. This involves pulling reports, gathering documents, and lots of back-and-forth with auditors. It typically costs between $8,000 and $15,000 - potentially more if your plan is on the complex side. The auditor is looking for any discrepancies or red-flags, which, should they be found, will require documentation, correction, and (surprise!) likely financial penalties. The Form 5500 is a detailed annual overview of the plan - due 7 months after the plan end date each year, and the ultimate piece of 401(k) plan administration - literally and figuratively. 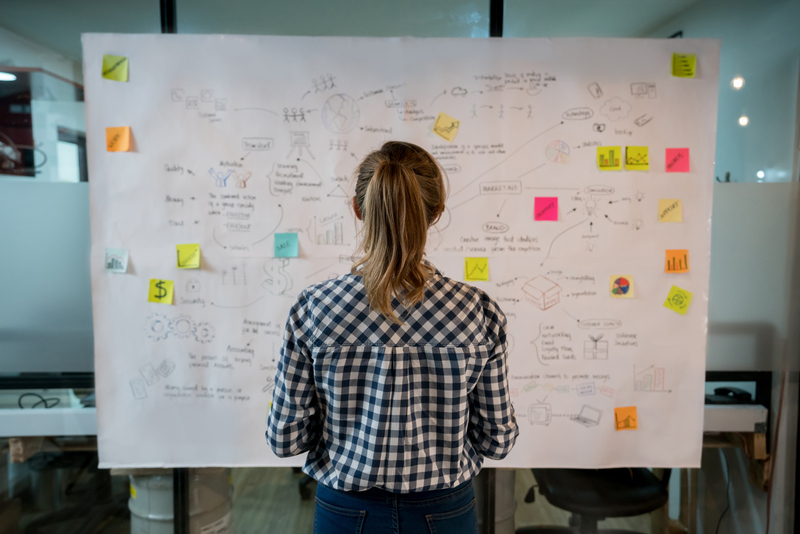 Not only is it the last major piece of administration work you do for the plan year, but getting it right is also one of the single most important parts of managing a 401(k) plan. The IRS reviews the Form 5500, and any red-flags they find are reported to the appropriate agency. Mistakes, omissions, or patterns of mismanagement on Form 5500 are likely triggers for a government audit of the 401(k) plan. We know. We just covered an insane amount of work. But don’t stress too much, because now we’ll get to some tips for painless plan management. Look, mistakes are generally okay. Mistakes are how we learn. But if there’s one place you don’t want to make mistakes, it’s in 401(k) administration. Even the smallest mistakes, like forgetting to update a deferral rate for just one employee, can quickly snowball and end up costing you a lot. And even if the penalty isn’t significant, one mistake still creates hassle during your 401(k) audit. So if you want 401(k) administration to cause you as little pain as possible? Don’t make mistakes. Plan design refers to all the rules and features of your retirement plan - laid out in the 401(k) plan documents (including your Adoption Agreement and 401(k) Summary Plan Description). Simplifying these rules can dramatically cut down on your administrative workload. For example, simplifying your eligibility requirements can significantly cut down on how much time you have to spend pulling eligibility tracking reports, sending notices, and enrolling employees. 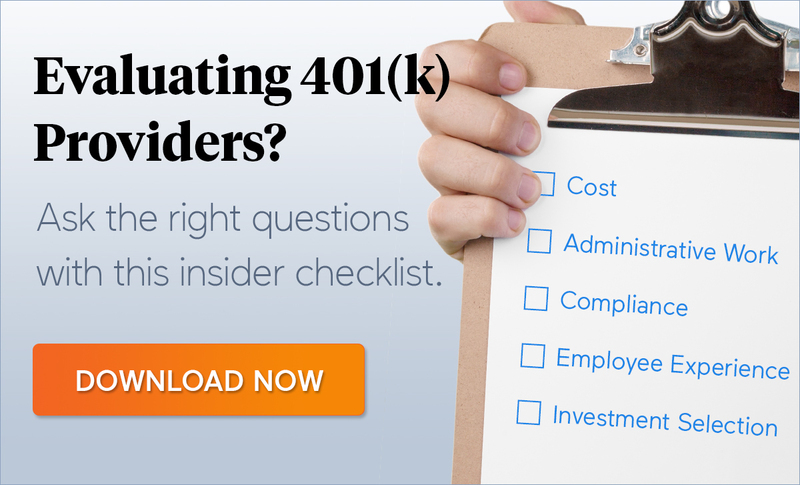 When it comes to 401(k) administration, nearly every process depends on information being consistent between your payroll system and your 401(k) provider. Contributions, eligibility tracking, 401(k) loan maintenance… all of these processes and more depend on moving data from one system to another. Doing any of this manually is likely to result in mistakes, so why not automate the process? A lot of companies now offer integrations between your payroll and 401(k) provider. Synchronizing these systems could save you a ton of time, hassle, and compliance risk. 401(k) auditors agree: one of the biggest time sinks in the large plan audit for plan sponsors is having to spend hours digging up documents and data. That’s why they recommend electronic storage. Having everything organized in one, easy-to-reach place saves you hours during your annual audit, and can save you a lot of hassle and potentially fines should the Department of Labor ever come knocking. As the plan sponsor, 401(k) administration mistakes are legally your responsibility. That means you might be on the hook for thousands (if not hundreds of thousands of dollars should mistakes be made). Luckily, you can make that someone else’s problem! 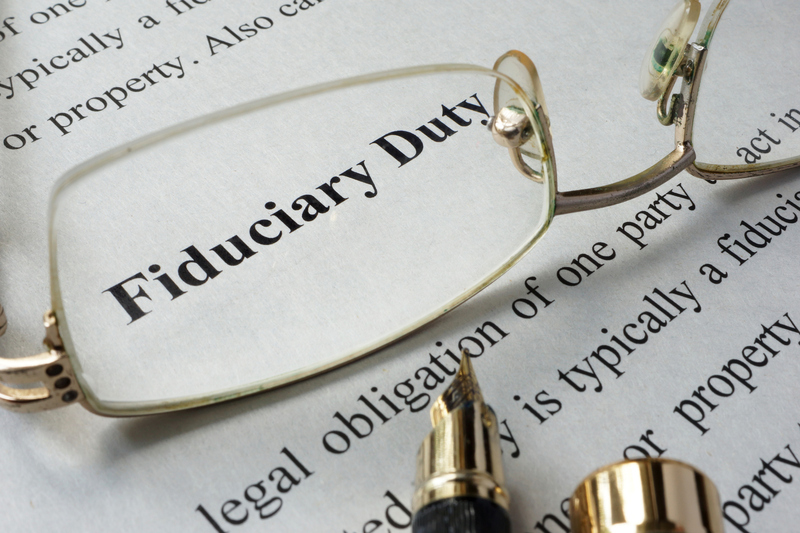 A 3(16) fiduciary can take on both your administrative burdens and the liability for any mistakes that result from their work. You’re providing retirement benefits to help your employees, not create extra work for yourself. So, we understand how stressful it is to think of all the penalties for not managing their benefits perfectly. In a system where even honest mistakes and minor typos can bring major financial penalties, it’s easy to get overwhelmed. If this is you, not worry… ForUsAll is here to help! We’ve created an all-in-one administration & compliance solution that takes almost all of the aforementioned work off your plate. On top of that, we take legal responsibility for making sure your plan’s administered correctly. Schedule a quick, 10 minute demo today to learn how you can save time and keep your plan compliant with ForUsAll.